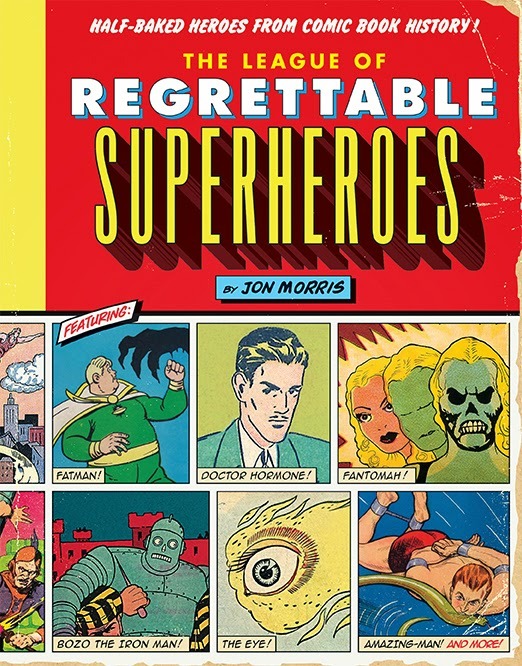 The Fellowship was fortunate enough to obtain a copy of THE LEAGUE OF REGRETTABLE SUPERHEROES from Quirk Books. The book is written by Jon Morris. Morris has assembled just about every unusual (being kind here) D-list super hero created since the genre hit comics back in the 1930s. The book is divided up the three most well-known eras in comics: Golden Age (1930s-1940s), Silver Age (1950s-1960s), and Modern (1970s-on). The most recent characters listed were created in the 1990s. This is a fun and informative book. Among the characters that caught my eye include Fatman the Human Flying Saucer (by the creators of Captain “Shazam” Marvel), and Bozo the Iron Man. Some characters – such as Brain Boy, Doll Man, and Squirrel Girl are either still around today or recently returned. If you are interested in comics’ offbeat side, this is the book for you. You won’t regret it. 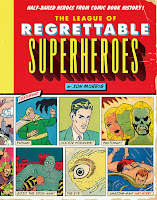 THE LEAGUE OF REGRETTABLE SUPERHEROES will be in stores June 2nd, or is available for ordering at www.quirkbooks.com.